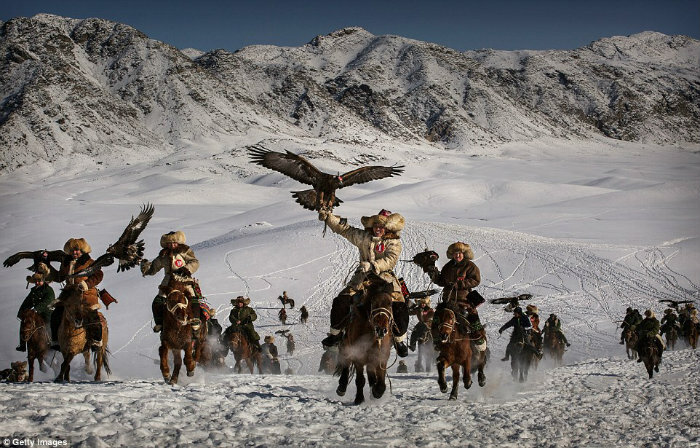 The festival, organised by the local hunting community, is part of an effort to promote and grow traditional hunting practices for new generations in the mountainous region of western China that borders Kazakhstan, Russia and Mongolia. 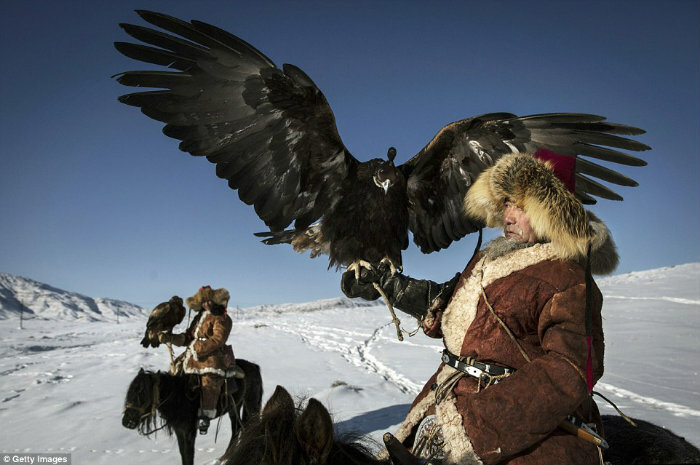 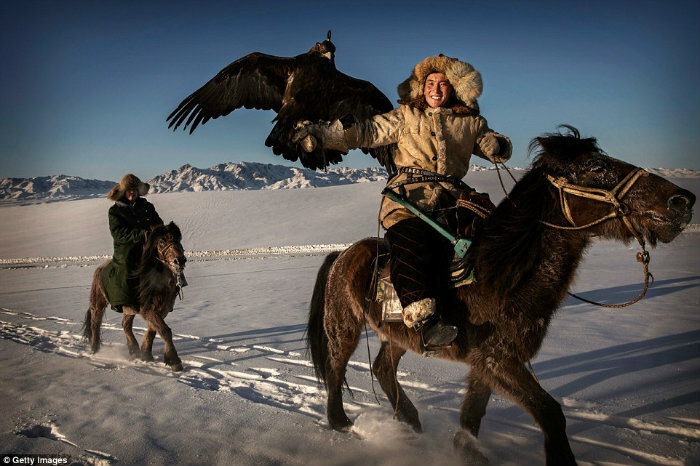 See more via Chinese Kazakh eagle hunters let their magnificent birds show off their hunting prowess | Daily Mail Online. ← A Field of Light at Night in the Red Centre.